Don’t let this happen to your feet! concerns about your feet health. For an explanation of various Common Afflictions of the Foot or Ankle, please select from the list below. Sports Massage – What are the Benefits of Sports Massage? Foot deformities, a common problem for the diabetic patient, can result in focal points of abnormal pressure. Neuropathy, also common to the diabetic patient, reduces sensation leading to an unawareness of the pressure point. This often results in a foot ulcer. Click on a thumbnail to view images full-size. “A bunion can be painful and may prevent you from wearing certain shoes and doing certain activities that you would like. Poor-fitting shoes are not always to blame.” Click here to read the article in full. “Morton’s neuroma is a painful condition that affects the foot. Women are more likely to suffer from a Morton’s neuroma. Perhaps due to the shoes they wear.” Click here to read the article in full. “Many different foot problems can affect the foot and ankle. You rely on your feet to get you where you want to go.” Click here to read the article in full. “Wearing high heels can be very fashionable and may make you feel taller, but at what price? High heels can cause some foot problems and exacerbate foot problems that you already have. Your feet are not the only body parts to suffer from wearing high heels. Leg and back pain are common complaints from those who wear high heels.” Click here to read the article in full. “Shin splints are now known as medial tibial stress syndrome.” Click here to read the article in full. “Lisfranc injuries are named after Jacques Lisfranc, a French surgeon in the early 1800s. In the army a lot of the soldiers would get thrown from their horses, but their foot would get caught in the stirrup. This would cause an injury to the middle of the foot. Unfortunately, back then this injury sometimes ended up needing an amputation, and Dr. Lisfranc first described that procedure. Thankfully today amputation is usually not needed.” Click here to read the article in full. “Pain after an injury is not uncommon, but if the pain seems out of proportion to the injury and there is a significant amount of swelling (edema), you may have a condition called compartment syndrome. Compartment syndromes can be acute (sudden onset) or chronic (long term problem).” Click here to read the article in full. “Sports massage is reported to have many beneficial effects in athletes. Sports massage can be used pre-performance, post-performance, during training or for rehabilitation. Athletes of all levels may benefit from sports massage. If you are looking for a way to improve your athletic performance then sports massage may be for you.” Click here to read the article in full. “Compressed air foot massage was used in a research study to help treat diabetic foot ulcers. Over a lifetime, a person diagnosed with diabetes has a 15 to 25 percent chance of developing a foot ulcer (open sore). 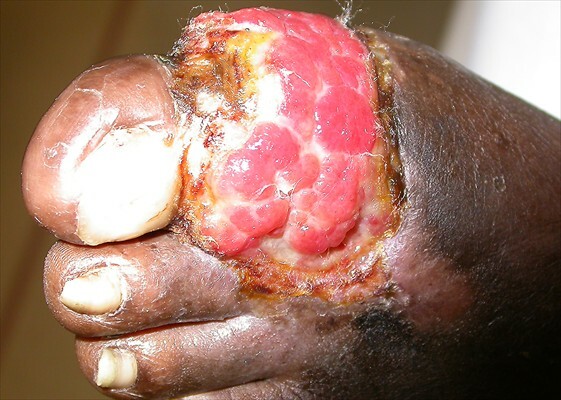 Some foot ulcers can take a long time to heal. Compressed air foot massage is not a new treatment, but it has gained attention as a possible way to help decrease the time it takes to heal a diabetic foot ulcer.” Click here to read the article in full. “Many research studies have reported benefits from foot massage, reflexology and acupressure. Some of the studies have been done well and some not so well and some of the studies have only been done on a small number of people, so the results need to be looked at with caution.” Click here to read the article in full. “With a baby on the way, there are a million things to think about. The last thing you want to worry about when you are pregnant is your feet, but pregnancy can lead to problems that affect your feet and legs. There are things you can do to help stop or lessen the problems.” Click here to read the article in full. “Heel pain is a very common problem that leads to many trips to the podiatrist’s office. A significant number of people will experience heel pain during their lifetime. The most common form of heel pain is known as plantar fasciitis.” Click here to read the article in full.